Soil: well-drained acid soil. Will tolerate mildly alkaline soil. Masses of white, urn-shaped flowers appear from January to March among bright green foliage. 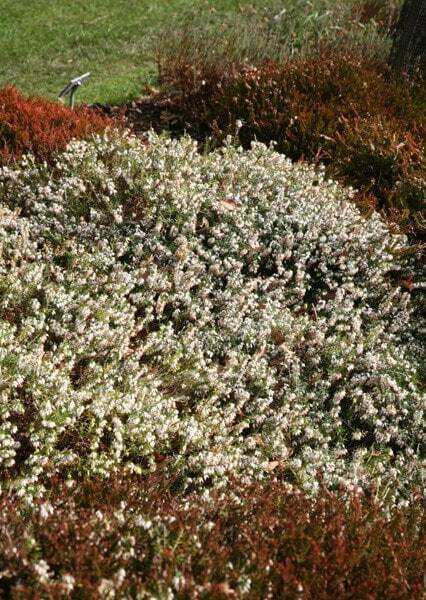 This winter heather has an upright and compact habit, making it a particularly suitable container plant. Try it in a pot near the house with winter-flowering pansies and early-flowering crocuses, where it will lift the spirits in the depths of winter. In the garden it looks best planted in bold drifts among other heathers, or beneath deciduous trees. As it tolerates mildly alkaline soil there's no need to use a special potting compost. 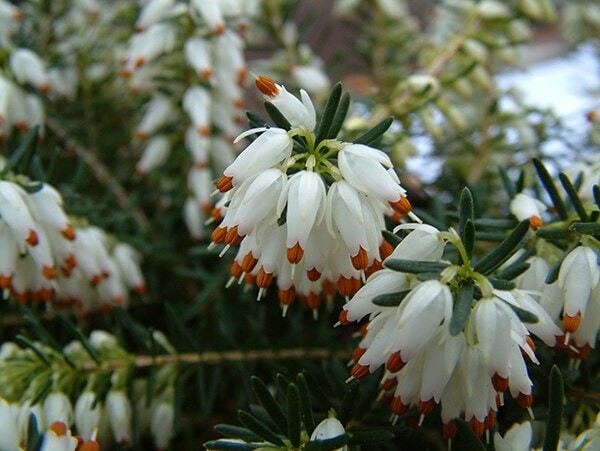 A really lush, crisp white which contrasts brilliantly with another pink/red heather. Has already formed quite a dense clump over the last few months. Bees love it too. Lovely , began to flower begin of February provide a lot of flowers, a good burst of colour . Health plants that grow quite quickly. Wanted another alba heather for my gravel garden and this was well suited. Hello Darren, The best options for winter colour are pansies, polyanthus, bellis and heathers. I hope this helps. Helen Plant Doctor . When should I plant? I recently received some new plants from Crocus. I've unpacked them, made sure they are moist and they are presently in my garage as its snowing outside. I have Clematis, heather, some Roses and Camellias. The days have been very sunny but the nights frosty, could you please tell me the best time to plant them as I know they shouldn't stay in my garage? As a rule plants grown in containers, such as ours, can be planted at any time of year as long as the soil isn't frozen solid. Also the plants you have mentioned are all hardy so don't need to be kept indoors until you are ready to plant. They should be taken out of the garage as soon as possible and stood outside in a sheltered, sunny spot until the weather warms up.